* A very special thank to Vernam7 for publishing my map on EU ladder! Another thank to ArmageddonZ for helping me with some map issues. 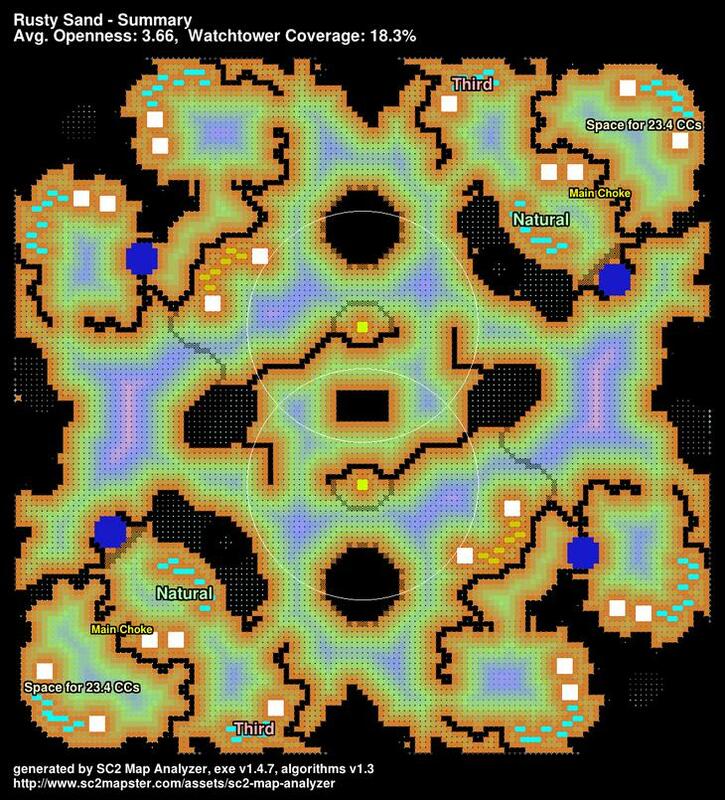 My Idea, when I did the map, was to consider the entire site (initial base + NAT + expand #2) as your main. In your main, there is 2 places to build expands. Once you take expand, you have to build your other structures near of the first and the second expansion otherwise, you will not have enough place... 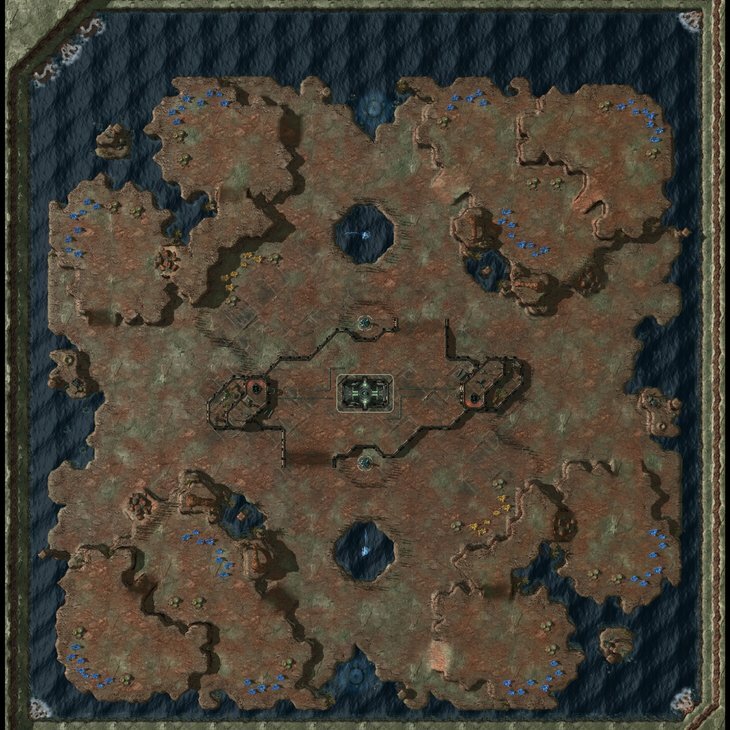 If you decide to go allin, there is enough place for your structures as terran or protoss on the high grounds (where your initial base is located). - I adjusted some mineral placement issues. - I removed some LOS around both electric cliffs and add others behind back door of both players. - I changed text description. - I removed all rich vespene geyser. Now, all sites have 2x regular vespene geyser. - Add a stardard ramp for main. - Remove high grounds behind natural. - Remove destructible rocks for 2nd expand and on the paradise path behind both gold expands. - Add a dome in water for look. - Add some water falls. - Map is now surrounded by high grounds. - Add Metallic High Grounds in the middle. - I changed main ramp direction (main and both NAT ramps are in diagonal). - Third has now low resources. I just LOVE the use of the highground on the bases in the northwest and southeast corners! It is perfect that they sit RIGHT over the high Yield fields AND link the two expos. - I upload new analyzer pics and new overview pic. - Major changes have been applied. See change log for details. DON'T use Nibbits download button, use link in description to get the latest version! Are you working on another map these days? Because I remember your last one "Lost Aiur" was really good and I am looking forward to see another one from you. YOU have to download the newer version (v2.6) with the link in description. not too many to become a heavy map, i will enjoy it this weekend! nice to see more good map developers arround! Take time to download, try, rate and comment the map plz! - There is a couple of rocks to destroy on this map, so AI's results might be reduced. You will only see a difference if you are ~diamond+ or higher. - Map is also available on US and EU ladder. 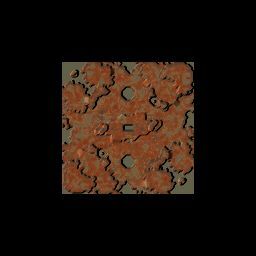 Rusty Sand v2.5 (A newer version).